This lovely home is tucked perfectly on the corner of the street in Pompano Beach, Florida. The four bedroom and three full bathroom residence is laid out over almost two thousand square feet. This is a rare find in Pompano Beach. The newly remodeled kitchen features a full suite of stainless steel appliances, sleek granite counter tops and custom wooden cabinetry. The roof has been recently updated. The sparkling swimming pool and hot tub under the screened in enclosure will be perfect for entertaining guests.The landscaping has all just been redone. The whole home inside and outside has been repainted. An added bonus to this home is the laundry room! 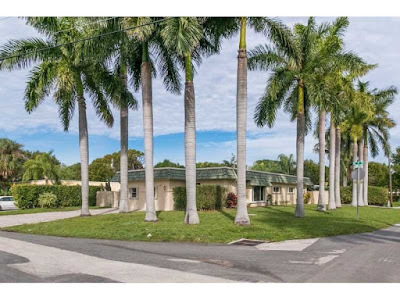 2275 Ne 9th St located in Pompano Beach and is currently asking $374,900.00. Residents of Beachway Estates can enjoy fine dining, shopping and entertainment in close proximity at nearby Galleria Mall, Mizner park, The Broward Center For Performing Arts Center and Las Olas Riverfront nightlife. The Fort Lauderdale International Airport is just a short drive. The pristine South Florida beaches are right around the corner!